A stem cell line developed by South Korean scientist Hwang Woo-suk will be formally registered, local health authorities said Tuesday, a move expected to restart stem cell research here that has been in a deep freeze. The Korea Center for Disease Control and Prevention (KCDC) said it has concluded that the human embryonic stem cell line, called NT-1, was developed by a process of parthenogenesis, also known as the "virgin birth." This is when an egg develops on its own without fertilization. The former Seoul National University (SNU) professor created NT-1 in 2004 and claimed that it was the world's first stem cell batch extracted from cloned human embryos. But the authenticity of his research came under fire after he was discovered to have faked some experimental data and violated ethical regulations. The KCDC said it will report the registration of NT-1 to the health minister and formally register the line as human embryos as early as the end of this week. In 2006, the SNU announced NT-1 was most likely to be produced by the virgin birth method, citing its genetic fingerprint and refuted Hwang's claim. A research team at the Harvard Medical School also supported the SNU's conclusion and published the result in the scientific journal Cell Stem Cell in 2007. 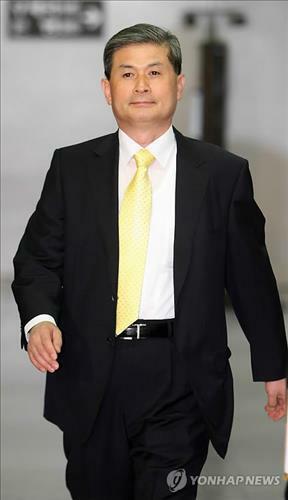 The government has banned all research using human eggs after Hwang was convicted in 2009 for embezzlement. A series of research projects in the field have sparked calls for lowering the high regulatory barrier to allow local scientists to conduct stem cell and regenerative medicine research over the past years. In July, the government approved CHA University's embryonic stem cell research seven years after it submitted the plan, on condition that it abides by high ethical standards.